Talking about the front design, the headlights got a quite aggressive look with projectable lamps. In addition to that, it also got a funky look with that riveted grill which makes the front pretty decent with a charming look. From the side, it got a floating roof effect along with the L shaped rear light which make it look cool and somewhat stunning. So, Maruti has done quite good at making the outside look premium. Moving to the inside, you can get new and appealing design that is not taken from any previous models. You will not find the ac vents on the top of the dashboard, rather you can get them next to the infotainment system. 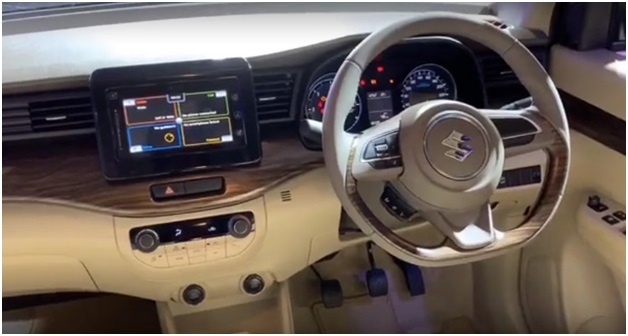 The touchscreen display is compatible with the Android auto and apple car play with the feature of satellite navigation system which is as well offered in other premium models of Suzuki. Moving to the second row, it is quite generously spaced without any compromise in the knee space. You can sit comfortably even after the front seat gets inclined backwards. You will get an adjustable headrest which is quite comfy at your needs. It has also a third-row seat and to get in there, you need to tumble the second-row seat. It will not let you feel any discomfort in terms of lack of knee room and head room as you can get decent amount of space there as well. You will not feel suffocated in terms of visibility as the window size is comparatively larger than any other models of this variant. The boot space storage is quite decent at 209 L, though it is not enough for a family tour with lots of luggage. However, if you fold the third row, you will get 550 L of storage place and with the second row folded, the space is increased to 803 L.
It comes both with both petrol and diesel engines. It has a 1.3 L DDIS 200 engine with a power output of 88 bhp and 200 Nm torque, whereas the K15 SMART HYBRID petrol engine is of 1.5 L that generates a power of 103 bhp and a torque of 138 Nm at 4400 rpm with a 5-speed manual or 4 speed automatic transmission. 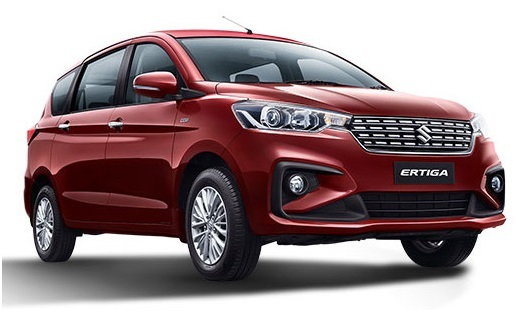 The safety features have been taken into utmost consideration with dual airbags, ABS with EBD, Hill hold stability, and electronic stability program. It definitely gives that premium looks and a luxury feeling with an affordable price range under 10 lakh.